Provides firefighters a simple-to-use and easy-to-understand SCBA that requires minimal training, increases operational efficiency and reduces training costs. Lower costs after initial sale through its rugged design, assembly and warranty policy enable the department to direct valuable funding to training and other PPE rather than on maintenance costs. 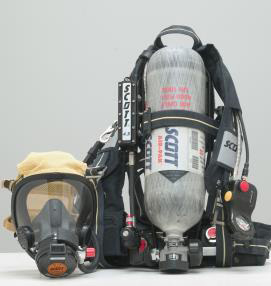 Need a price on Reconditioned Scott 2.2 / 4.5 AP75 2007 NFPA Compliant SCBA's?